1.This Christmas Party snowflake Stick is good for party event gifts. 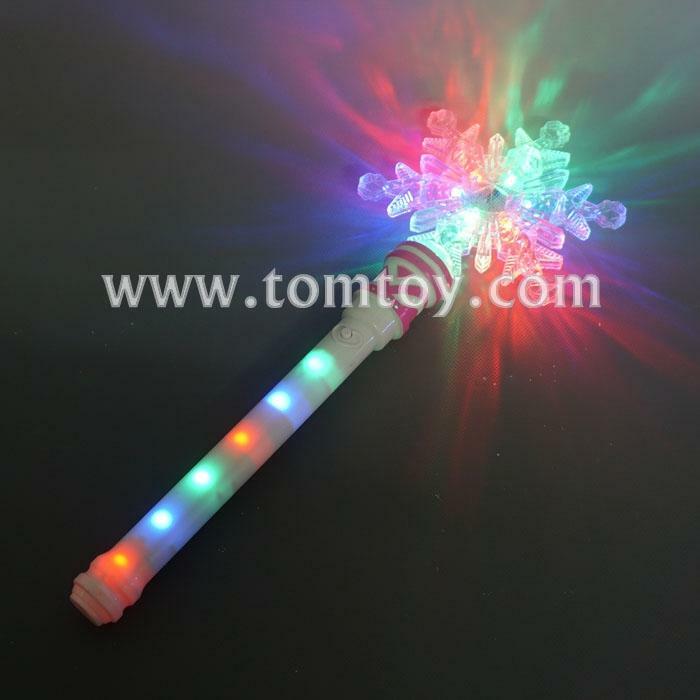 2.Led Snowflake Light Up Wand flashing has four flash modes. 3.Size: 15.5inches long,the snowflake size is 5.3 inches long.